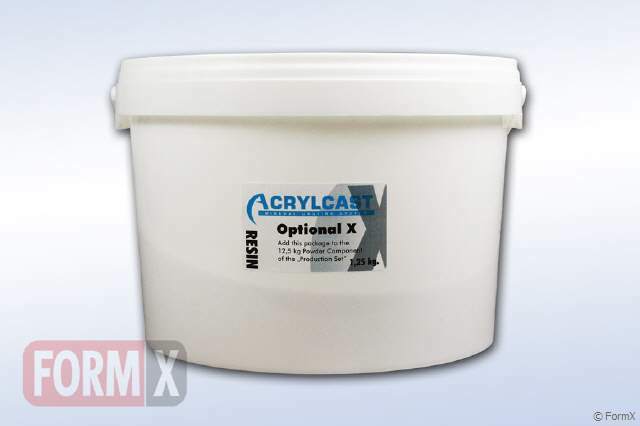 AcrylCast is a non toxic, water based - mineral/acrylic - casting and molding system. It is easy to use and pleasant to work with. 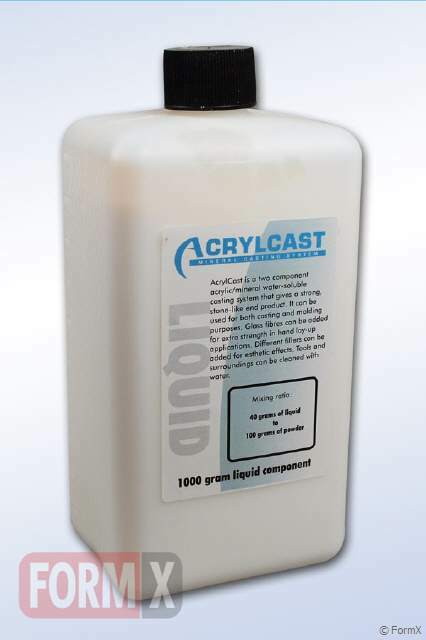 AcrylCast consists of a mineral powder component and an acrylic liquid component that are mixed together to a yoghurt like consistency that can be cast solid or laid up by hand with glass fiber reinforcement to form strong and lightweight pieces. These pieces can be painted, sanded, machined, polished and are extremely strong and durable. Metal Powders (bronze, iron, brass) can be added to give the look of metal. 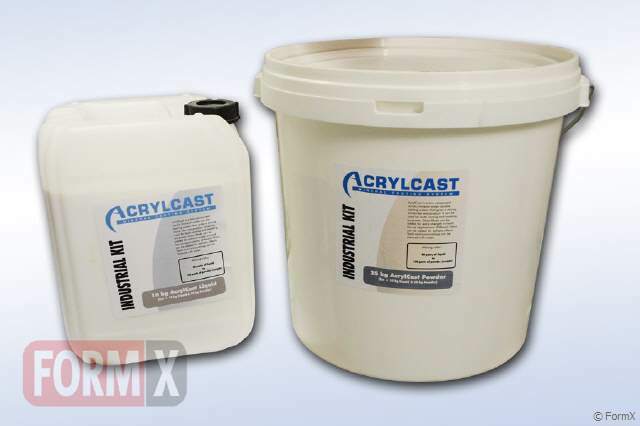 Marble and stone powders can be added to achieve various results. Test Set 875 gram (625 gram powder + 250 gram liquid). 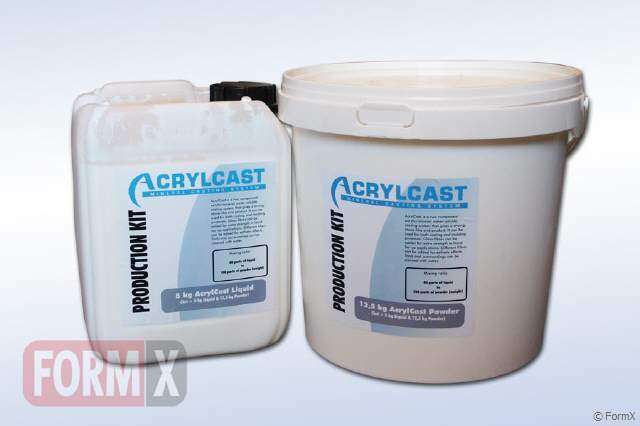 Studio Set 3,5 kg (1kg Liquid + 2,5kg Powder). 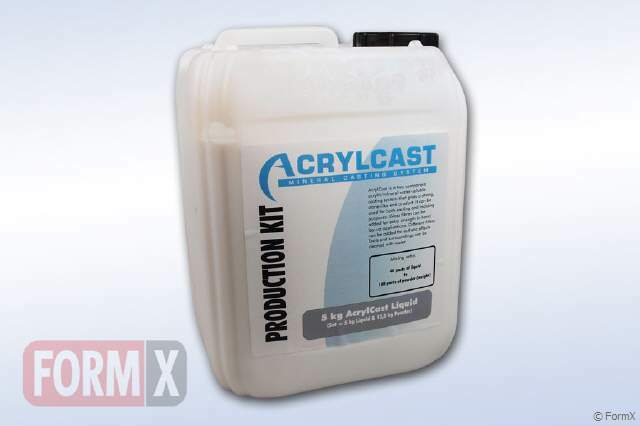 Production Set 17,5 kg (5kg Liquid + 12,5kg Powder). Industrial Kit 35 kg (25kg powder + 10kg Liquid). 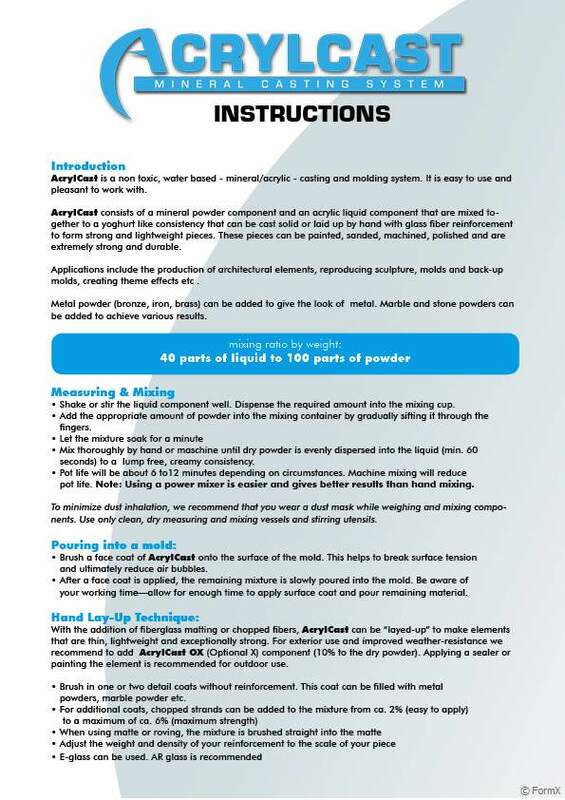 Component for improved whether resistance. For Studio Kit. Pot 0,262 kg. Component for improved whether resistance. For Production Kit. Bucket 1,31 kg. Component for improved whether resistance. For Industrial Kit. Bucket 2,62 kg.